weather was perfect until we hit the divide about 18 miles from camp. Here it is now, 2010. We are out of the aughts, and I again have a little time to look back at the year. Overall, I am pretty darn happy with how 2009 turned out and pleased at my own progress. I set myself new goals at the beginning of the year, and accomplished them. I give this posting the title that i did, because I feel that there were 5 major achievements that punctuate the year for me: The defense of my Masters Thesis, the successful completion of two 100-milers (in addition to several 50 milers and marathons), TA'ing undergraduate summer geology fieldcamp (lots of driving out West! ), two separate stints down in New Zealand and Antarctica (Dec/Feb of 08/09 and Nov-Feb 09/10), and several important life-decisions (i.e. 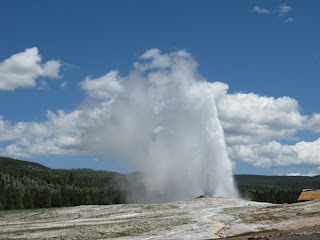 where to go for my PhD and what do I do in the summer of 2010). New Years Day 2009 I found myself standing outside the galley in -15C temps with nothing but jeans and a t-shirt on screaming "Happy New Year"!. 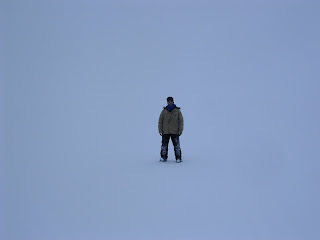 I was standing on the West Antarctic Ice Sheet at the WAIS Divide camp in what was my first field season down here. 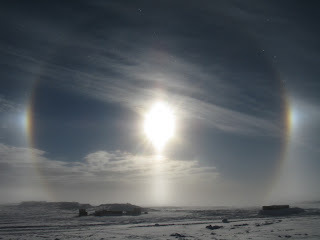 The season ended up being an incredible experience where I learned a lot about ice-core science, made many new friends and connections, and had an experience I will never forget. 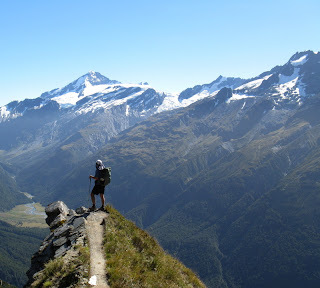 When I left camp at the end of January, I had my eager eyes set on some New Zealand hiking! I ended up spending over 3 weeks touring and hiking all around the South Island and Stewart Island. 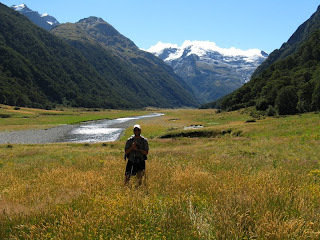 I hiked the Cascade Saddle Track, Northwest Circuit (on Stewart Island), the Kepler Track, and the Wilkin-Young Track. All were unbelievable. Towards the end, I spent a few days road-touring in a rental car and got to see some very cool sights around New Zealand, like the pancake rocks, Fox Glacier, glow-worms, Arthur's Pass, etc. All in all, it was a pretty damn good way to start the year. When I got back to Penn State my mind shifted rather quickly to two concurrent goals......Write and defend my thesis by October WHILE training for my first 100 miler in July. I spent February through May fine-tuning and double-checking my data and results and writing a basic outline for my thesis. On the side I was stepping up my running and re-ran the Pocono Marathon in mid-may....shattering my old PR with a time of 3:39 (still my best marathon time). In June I headed out with 27 undergrads and one other grad student to TA 3 weeks of undergraduate fieldcamp. 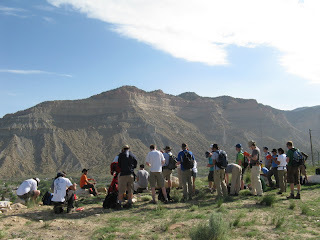 This was an incredible teaching experience, and allowed me to see some of the most beautiful areas out West. 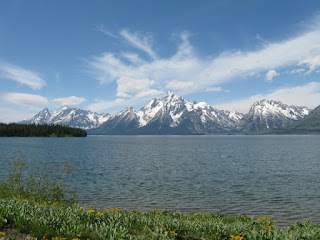 We toured through Utah, Wyoming, Idaho, and Montana. When I got back in late June, I continued training and began writing the first few sections of my thesis (very poorly). After writing a terrible intro, I realized that writing my Thesis was not going to just materialize and would take A LOT of work. 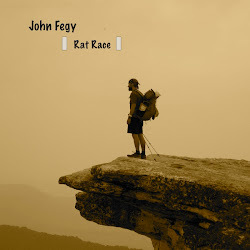 In early July I ran the Finger Lakes Fifties. 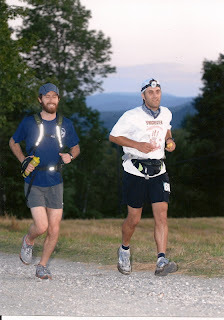 This marked my first ultra of 2009 and my final "training run" for the Vermont 100. As soon as I got back from that, I spent 5 days in Corvallis Oregon (at Oregon State) attending a Paleoclimate Conference. It was a blast. I learned a lot about climate change, and paleoclimate techniques (not just ice related). My advisor gave the keynote talk on the last day. In mid July I had competed the first two sections of my thesis draft and headed off to Silver Hill Meadow, VT to try to finish my first 100 miler. 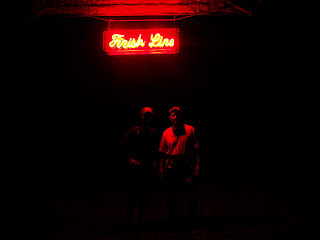 23 hrs and 15 minutes after the start, I crossed the finished line with my first 100 mile completion and belt buckle...and promptly collapsed from utter exhaustion. By early August, my thesis was beginning to take shape. 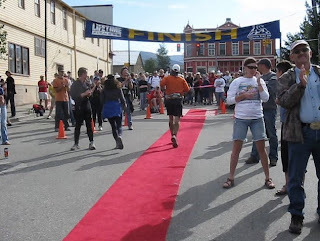 I kept at it until late August when I headed out to Leadville Colorado to run my second 100 miler in 5 weeks....the Leadville 100. 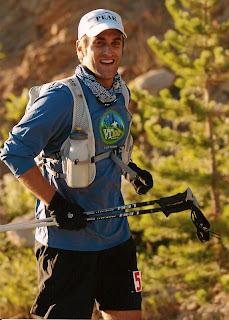 My goal for this race was simply to finish in 30 hours or less. 29 hrs later, I again crossed the finish line...barely. The altitude nearly did me in. I am forever indebted to both Kati and Elizabeth for crewing and pacing for me during this insane race. When I got home, September became the high-stress thesis writing month. I spent every day writing for hours trying to fine tune my draft so that I could defend on October 6th. I wrapped up my draft at the end of the month and headed out to the WAIS Divide science meeting in La Jolla California. While everyone was spending free time on the beach, I was preparing my defense presentation. The good part was that I got to talk with a lot of faculty from different schools that I ended up applying to. I learned about several good projects that are going on now...and that are funded (if I choose to leave penn state). I came back from the meeting on oct 5th, and defended the next day.......result: PASS! Not only a pass, but I only had to make a few minor revisions before submitting to the graduate office. October became my de-stress month. I tried to enjoy the 3 weeks of post-defense time as much as possible. I spent a lot of time with friends, and drinking coffee, and mental-vacationing. I started taking care of my Antarctica prep and packing on the side, as my deployment date was quickly coming up on Nov 2nd. On Halloween, I said goodbye to everyone and headed to Rochester NY to begin my 2nd journey down south. 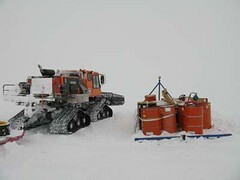 Made it to New Zealand in no time, and then spent 18 days in McMurdo waiting for weather to clear up at WAIS Divide. 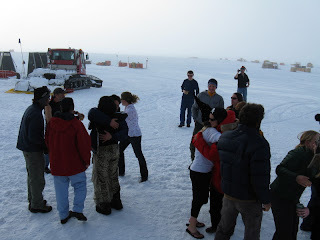 I celebrated my birthday in Antarctica, finally made it out to WAIS Divide on Nov 24th, and celebrated Thanksgiving here. for the past month, I've been busy packing ice cores, and taking physical properties samples for the I-168 grant (my advisor's grant). Today I sit here on our day off and I've been thinking a lot about the past year. I wonder if I accomplished enough, or would have made the old man proud or not. I look back to 2005 and 2006 and remember how I couldn't possibly get any lower....and somehow i've ended up where I have today. I can't help but be somewhat content. There was high probability 4 years ago that I might not have made it out of what seemed like an infinitely deep mental/physical/emotional pit....and yet here I am. I am a firm believer that we learn a lot more about ourselves when painful/bad things happen to us or around us. I also believe that we become stronger and more focused on what exactly it is that is important in this infinitesimally small sliver of existence we get here on this planet. There was a time when I was very lost....and now my compass has at least found magnetic north. I haven't necessarily headed right for it, but at least I know where it is now. as far as 2010....well...a lot more is going to happen, and I can't wait. I have some ideas in my mind of what I would like to accomplish, but at this point, I'm just going to let some cards fall where they will and see what falls into place.